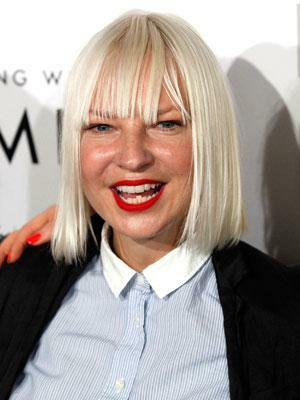 Sia Kate Isobelle Furler was born on 18 December 1975, in Adelaide, South Australia, Australia, and is a record producer, singe, and songwriter, best known for the popularity of her various songs as well as albums. She’s had many successful collaborations, and all of her efforts have helped put her net worth to where it is today. How rich is Sia Furler? As of early-2017, sources estimate a net worth that is at $20 million, mostly earned through a successful career in the music industry. She’s won numerous awards over the course of her career, releasing multiple successful albums. As she continues her career it is expected that her wealth will also continue to increase. Growing up, Sia imitated the style of popular singers such as Sting, Aretha Franklin and Stevie Wonder. She attended Adelaide High School, and during the 1990s, her career as a singer would begin. She joined the acid jazz band Crisp,helping them create two Eps – “Word and the Deal” and “Delirium”. In 1997, Crisp disbanded and Sia would work on her debut solo album entitled “OnlySee”. Sia moved to London and performed as a background vocalist for Jamiroquai. She also became the lead vocalist of Zero 7 on their first three studio albums. She is regarded as the band’s unofficial singer, and they created the song “Destiny” which reached the UK Singles Chart. In 2000, she signed a recording contract with the label Dance Pool, and released the single “Taken for Granted” which would reach 10th spot on the UK Singles Chart. The following year, she created the album “Healing is Difficult”, but poor promotion of the album led her to leave Dance Pool and join Universal Music Group’s Go! Beat. She won an APRA Award for Breakthrough Songwriter in 2002. Two years later, she released the album “Colour the Small One” which had a few successful singles but failed to make any mainstream success. This led Sia to move to New York City and created the song “Breathe Me” which was featured in the series “Six Feet Under”. In 2007, Sia released the live album entitled “Lady Croissant” and would leave Zero 7 on friendly terms. She then worked on her fourth album called “Some People Have Real Problems”, which would certify gold in Australia, and become her first album to chart in the United States. Two years later, she released “TV Is My Parent” and won an ARIA Music Award for Best Music DVD. She then collaborated with Christina Aguilera, and co-wrote several songs for her album “Bionic”. In 2010, Sia wrote the song “Bound to You” for the film “Burlesque” which earned her a Golden Globe Award. Next came “We Are Born”, which certified gold in Australia once again. The song “Clap Your Hands” would become the album’s best-selling single, and she would also promote her album through a tour. Sia then tried to retire from being an artist after “We Are Born”, stating that she was growing uncomfortable with the fame. She continued writing songs however, and “Titanium” would reach David Guetta who included her original vocals of the song, and which would become hugely successful in various parts of the world. She continued writing songs for other popular artists such as Rihanna and Flo Rida, then in 2013 she released the song “Elastic Heart” for the film “The Hunger Games: Catching Fire”. She also went on to release another album called “1000 Forms of Fear” which debuted in the top spot of the US Billboard Hot 100, and for which she received four Grammy Award nominations in 2015. At this point she started wearing a large oversized wig, not showing her face in order to maintain some sort of privacy. However, in 2015, she then released the follow up “This is Acting” and has since toured and performed in various locations, somewhat negating her privacy. For her personal life, it is known that Sia married filmmaker Erik Anders Lang in 2014, but they separated in 2016. She has stated in interviews that her sexual orientation is flexible. 1 I'm really visually stimulated more than anything. I don't really listen to music. I'm more into watching telly or watching movies and visual art. 2 I think it would be very difficult to maintain one kind of art or whatever for your whole life. I think it's unrealistic. 3 I love watching reality TV, but being part of making it was just demoralising. 4 I liked myself much more before I got famous. I was much friendlier and had more energy. 5 When you're entertaining all day long and that's your work, you end up really very tired. You don't have a lot of energy left over for your loved ones. 6 People call me for the ballads. Apparently that's where I've been pigeonholed. But it's really interesting and really fun. It's my favourite part of the job, writing. 7 I have social anxiety. It's easier up on stage because there's security in being there. When I'm off stage I'm trying not to be a manic freak. I'm quite shy. 8 I don't go to shows because I just want to listen to the music performed live. I want to get to know the person who's performing it. Or I want to, like, take away a sense that I had an experience that nobody else is going to have again, or a unique experience for that moment. 9 A lot of people come up to me expecting to meet the person they have seen perform. It's not going to happen, unless my mania, my stage person, responds to them and not the real me. 10 There are probably five songs in the world that I get excited about when I hear them on the radio. 11 People aren't honest about the horrors of fame. The downsides are so overwhelming that, for me, there is no payoff. 12 I'm a fan of the Strokes, so my big fantasy was that one day I would get to sing with them. 13 I'll be the songwriter for pop stars and then they can be the front person and I don't have to be famous. 14 I was weirdly obsessed with music until I was 11, and then I turned into a nerd. 15 I don't read reviews or interviews or anything, just because I'm afraid; If I believed the good, then I'd believe the bad, and there will be bad. 16 I don't need to be rich anymore; I don't need to be a millionaire. 17 I don't know anything about the history of music. 18 Fame made me develop a panic disorder. 19 I'm sensitive and get easily upset and insulted. 20 I don't really even go out that much now except to walk my dogs, because I don't want to be recognised. 21 When I was 10, my parents really valued success in the arts, and I thought if I was a famous 'something artistic,' that they would love me more. 22 I hope I am a psychotherapist's dream. I've spent enough hours in therapy. 23 I'm sort of a gay man trapped in a woman's body when it comes to music sometimes - it's crowded in here! 24 Like when I'm singing live I can't hear myself. I'm just listening to the rest of the band. To listen to my voice, it doesn't even feel like it's me. 25 Knowing now what goes into making a successful artist, it's disheartening. 26 I love visual gags and gimmicks; I love them. 27 I'm just completely obsessed with Die Antwoord. 1 Her number one hit Cheap Thrills is the most streamed song on Spotify by a female artist, with over 646 million streams. 2 (December 30, 2016) Filed for divorce from her husband of 2 years Erik Anders Lang. 3 Her first name is pronounced "SEE-ah". 4 Furler is a vegetarian. 5 2010 October, Sia revels via Twitter, that she is suffering effects of Graves' Disease. Playcracks 2017 2016 TV Special performer: "Chandelier" / writer: "Chandelier"
La banda sonora de la solidaritat 2016 TV Movie documentary writer: "Sóc de titani Titanium"
Rock Story 2016 TV Series performer: "The Greatest" / writer: "The Greatest"
Finding Dory 2016 performer: "Unforgettable"
The Neon Demon 2016 performer: "Waving Goodbye" / writer: "Waving Goodbye"
Spark: A Space Tail 2016 performer: "Bang My Head"
The Eagle Huntress 2016 Documentary music: "Angel by the Wings" / performer: "Angel by the Wings"
Santa Bárbara 2015 TV Series writer: "Invincible"
Travie McCoy Feat. Sia: Golden 2015 Video short "Golden"
San Andreas 2015 performer: "California Dreamin'"
Saturday Night Live: 40th Anniversary Special 2015 TV Special performer: "Wolves"
The Concert for Valor 2014 TV Special writer: "Titanium"
WWE 2k15 2014 Video Game performer: "Wild Ones WWE Version"
2014 Billboard Music Awards 2014 TV Special writer: "We Are One Ole Ola"
Bande de filles 2014 writer: "Diamonds"
Sia: Chandelier 2014 Video short performer: "Chandelier" / writer: "Chandelier"
2014 FIFA World Cup: Brazil 2014 Video Game writer: "We Are One Ole Ola"
21 Hottest Girls in Pop Right Now 2014 TV Movie performer: "Chandelier"
American Music Awards 2013 2013 TV Special writer: "Diamonds"
The Internship 2013 performer: "Wild Ones" - as Sia / writer: "Wild Ones"
Epic 2013 writer: "Rise Up"
The Great Gatsby 2013 performer: - as Sia / performer: "Kill And Run" - as SIA / writer: "Kill And Run"
WrestleMania XXVIII 2012 TV Special performer: "Wild Ones"
The Twilight Saga: Breaking Dawn - Part 1 2011 writer: "My Love"
Cyberbully 2011 TV Movie performer: "Breathe Me" - as Sia / writer: "Breathe Me"
The Amazing World of Gumball 2011 TV Series performer: "The Greatest"
The Twilight Saga: Eclipse 2010 performer: "My Love" - as Sia / writer: "My Love"
Gaia 2009/I performer: "My Love" / writer: "My Love"
The Babysitters 2007 performer: "Bye Bye Bye" / writer: "Bye Bye Bye"
The Ultimate Gift 2006 performer: "Breathe Me"
36th Precinct 2004 as Sia Furler, "Don't Bring Me Down"
Blue Crush 2002 writer: "Destiny"
Van Wilder 2002 performer: "Little Man" - as Sia / writer: "Little Man"
2015 Grammy Grammy Awards Best Pop Solo Performance For the song "Chandelier."